ANTIOCH, Calif. (KGO) -- A 10-year-old boy from Antioch who returned a missing wallet its rightful owner was recognized Tuesday night during a city council meeting. Nasim Lawrence found a wallet containing a woman's driver's license, a debit card, and $38 in cash at a motocross event in Oakland in January. 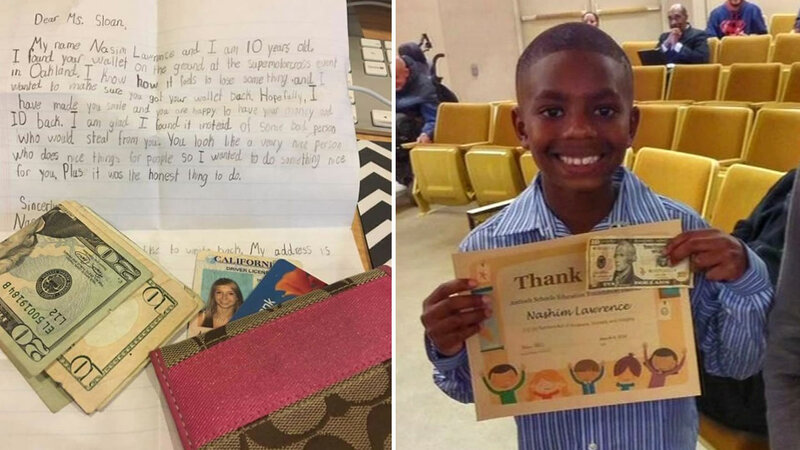 He mailed the wallet to its owner, Taylor Sloan, in Sonoma County, along with an adorable letter. "I wanted to make her happy and make her feel better about her losing something," said Nasim. Sloan was so moved, she posted about the wallet and letter on Facebook. From there, it went viral. Click here to take a look at more feel-good stories and videos.